At the end of March, on day 52 of his tenure as Microsoft's third CEO, Satya Nadella unveiled the start of a new era for the software giant. "It has been an amazing five weeks for me. The most striking thing is you see things from a fresh perspective." Quoting TS Elliot, he said: "You should never cease from exploration." This new perspective means that for the first time Microsoft's strategy will no longer be Windows-centric. 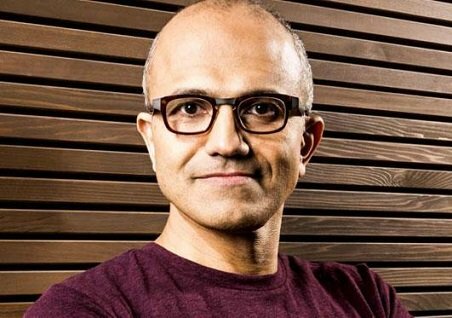 In fact, Nadella (pictured) openly embraces the heterogeneity the company's enterprise customers have dealt with since Microsoft became a driving force in business computing. "The world in the next five to 10 years will not be defined by the form factors and devices we have come to love today, but by the variety of form factors," he said. "Everything we do in the world going forward is about ubiquitous computing and ambient intelligence. IT is an amazing opportunity. We are absolutely committed for cross-platform, to excel everywhere our customers are. It is not a trade-off." From a device perspective Microsoft plans to make it possible to run its software across all the devices a user may own, he said: "The real goal is to provide the apps and services that empower users across all devices." From a software ecosystem perspective, Nadella wants to make Microsoft the best technology on which to build next-generation applications. Microsoft has made Office for iPad available as a free download on the Apple App Store. The version offers Word, Excel and Powerpoint viewers. Full editing functionality is available through a standard subscription to Office 365, the cloud-based version of the Microsoft productivity suite. Office product manager, Julia White, said: “Microsoft is absolutely committed to creating great mobile apps. Office for iPad has been built to be used with a full touch UI [user interface] and uses OneCloud storage enabling users to access content on all devices. Formatting remains consistent across devices. We keep the file fidelity so everything looks the same on any device." Another feature is the custom keyboard with symbols that Microsoft specifically developed for the iPad to support Excel users who need to input formulae and equations. White said the new heterogeneous approach Microsoft now takes is also demonstrated by its support for Bing, Skype and OneNote on Android. "Developers look for their canvas to innovate, and want to build on other people’s work, to span consumer and business scenarios and tackle hard problems [like supporting] multiple platforms and scale their business as they gain more customers," he said. This platform will be a combination of Office 365 and Azure. "Our commitment going forward is to drive Office 365 everywhere, across the web, on all phones and PCs," said Nadella. For developers, he said Office 365 will be their most important API. Through the API they will be able to use Azure Active Directory (AD) to enable single sign-on, OneDrive API for cloud storage, OneNote API, as well as access to SharePoint information and lists. He said: "The power of Azure is you have a storage API, notification APIs, and elastically grow using more compute, and agile mobile services." As an example of how the Microsoft platform could help developers, Nadella said: "If you are an iOS developer you get to appeal to enterprises by doing single sign-on through Office 365. It is like Facebook for enterprise." He described Microsoft’s new Enterprise Mobility Suite as the most strategic piece of infrastructure for enterprise devices. This is Microsoft's approach to mobile device management, providing access and rights management, identity management, data protection, all in one suite. He said Enterprise Mobility Suite offered an enterprise architecture across Android, iOS and Windows. It would enable a cloud for everyone on every device, spanning people’s lives in their home life and at work, Nadella said. The change in tack for Microsoft has been a long time coming. The world is no longer Microsoft-only and experts believe its recognition of this is a good thing. Clive Howard, principal practitioner analyst, Creative Intellect Consulting, said: "Microsoft no longer views the operating system (OS) as the powerhouse it once was. People have multiple OSes in their lives - Android phone, iOS tablet, Windows PC. What’s important for Microsoft is that the apps and services people use are built using and based on Microsoft technology." Yet even if Windows will no longer command the emphasis it once had within Microsoft, the company remains committed to establishing a Microsoft platform, only this time it will be cloud-based, powered by Azure. Howard said Microsoft Azure Active Directory fills a need where developers want to provide the benefits of a Facebook-style easy sign-on but addressing the concerns that businesses will have such as security. He expected iOS and Android developers building enterprise and line of business applications to use it. Clearly, Microsoft is setting its sights on new goals, where the platform is the cloud. For its strategy to succeed it will need to entice developers. Forrester Research principal analyst John Rymer said Nadella was trying to knit the company's various developer communities (.Net, Windows, SharePoint, Office, XRM/Dynamics, SQL Server) into a "supercommunity" and a coherent portfolio of cloud services.